The Vent-Axia Wholehouse Attenuator has been developed to reduce induct noise in both residential and commercial ducting systems. The Wholehouse Attenuator is compatible with either 204x60mm2 or 220x90mm2 ducting. It also offers two spigot options to suit the installation and design requirements. The Wholehouse Attenuator is available with either a standard centralised spigot or, for instances when the ducting is installed flat to a concrete slab, an offset spigot. As well as saving the need for additional ducting components, this allows for a much easier and quicker installation. Offering excellent sound reduction over a range of frequencies, the Wholehouse Attenuator is available in two lengths depending on the noise suppression requirements. 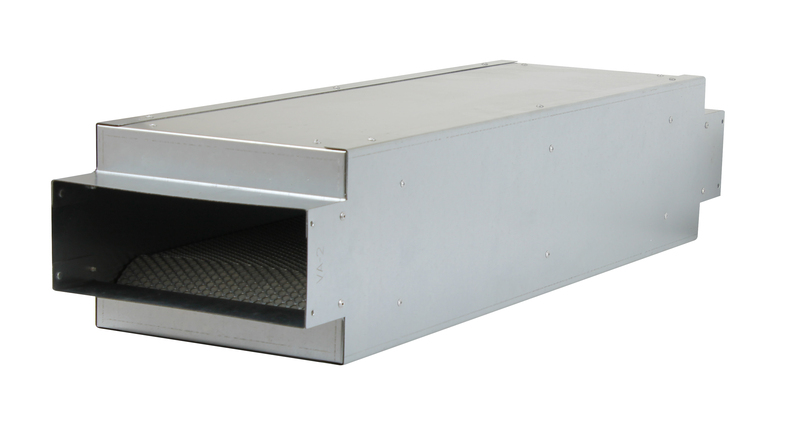 For MVHR systems the attenuator can be fitted on the supply side to habitable rooms, reducing airborne in-duct noise. For MVHR and extract-only systems, the attenuator may be placed on the extract side to limit ‘cross-talk’ through ductwork between rooms.